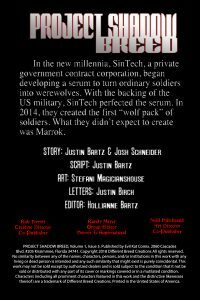 Pullbox Reviews – Project: Shadowbreed #5- Werewolves & Spec Ops… what’s not to like? Sometimes, when the figurative monsters are in charge, the literal monsters are the only hope a city has left. That’s where Max, aka “Marok” comes in. On the run from the sinister corporation SINtech (it’s right there in the name, so you know they’re evil…), he’s taken to the streets of Seattle and assumed the role of protector. 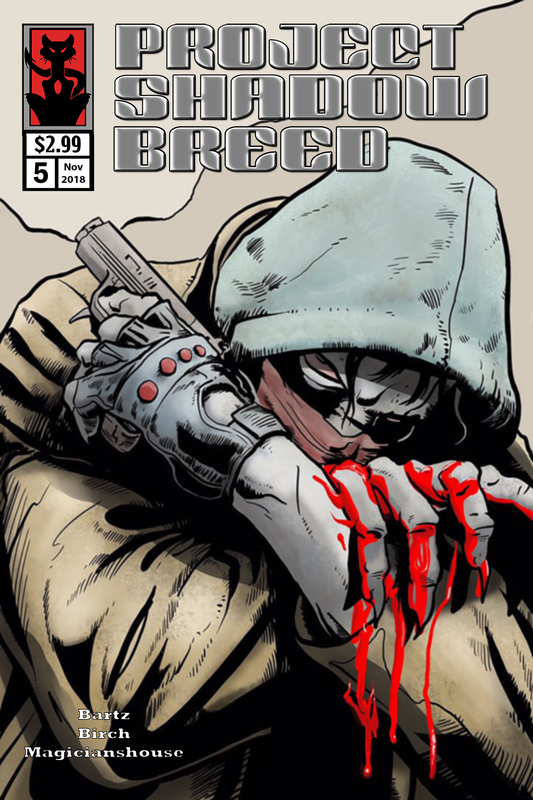 With the help of Leroy, a retired operator (not the telephone kind) with more than his share of blood on his hands, Max has been trying to work his way up the food chain of the city’s underbelly while trying to stay out of the headlines. When a series of brutal murders go unsolved, Max and Leroy take it on themselves to put their particular skillsets to use. Max and Leroy, as odd a duo as there could be, make a pretty good team. With his old black ops contacts, Leroy has access to information no one else can get. With his special forces training and the more spectacular abilities that come with being a werewolf, Max is more than capable of bringing the muscle. When their powers combine, the bad guys would do well enough to take up knitting as a hobby. Writer and co-creator Justin Bartz has managed to weave an ongoing narrative that keeps his main characters interesting. 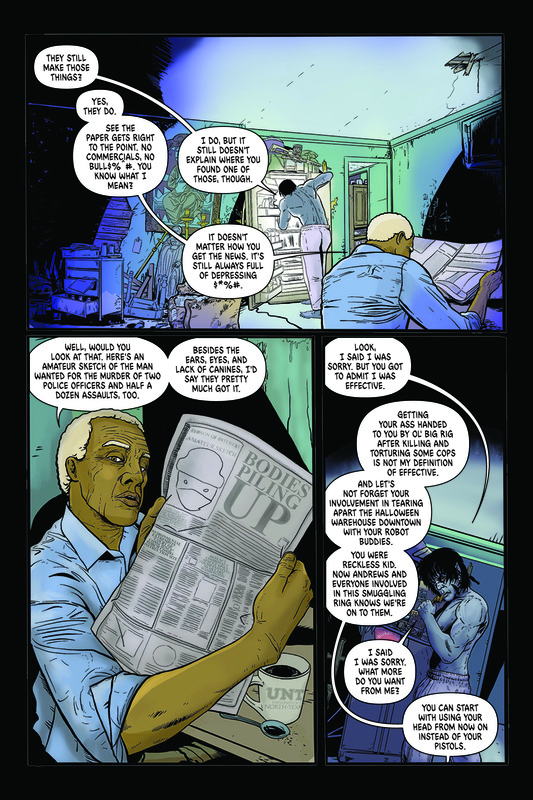 Max and Leroy are just about as damaged as they can be, with Max having no memory of his life before being transformed into a werewolf and Leroy carrying more guilt for past sins than any amount of cheap liquor can erase. Together, the two are a bizarrely matched “father/son” duo, each doing his best to look out for the other despite himself. Also, Bartz has established a pretty deep backstory into his dark urban fantasy world, most of which has yet to be fully revealed. There are military conspiracies, government cover ups, and corrupt corporations (seriously… SINtech couldn’t be more on the nose) aplenty. With all of that, what I hold as Bartz’s most impressive accomplishment is that his world isn’t standing still, waiting for Max to come around and impact events. There’s the definite impression that significant things are happening, well beyond the main characters’ sphere of influence. It’s a feat of world building that isn’t easy to pull off, but it gives the overall story a greater sense of weight. 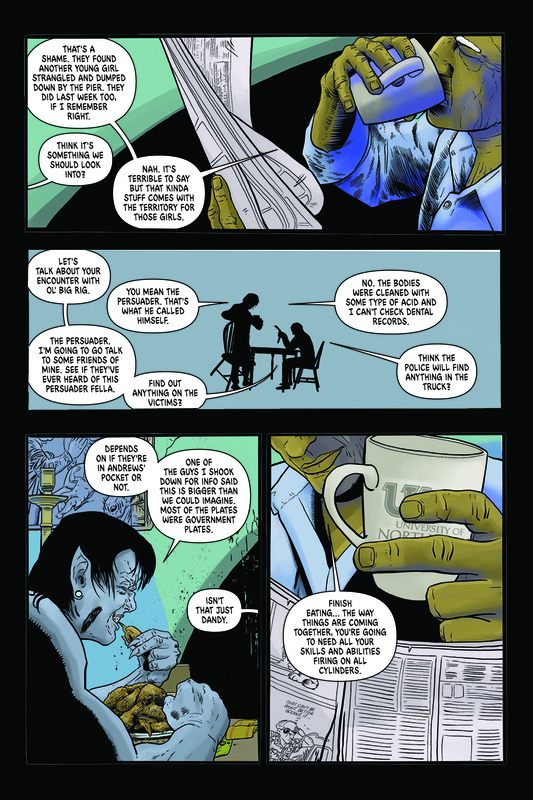 The other part of the equation in any comic title, apart from the writing, is the artwork. With some independent books, there’s almost a generic quality to characters, especially those relegated to background status. This isn’t a problem that Stefani Magicianshouse seems to have. All of the characters are unique and interesting in their own right, and every one of them has a story that’s been told off the page. 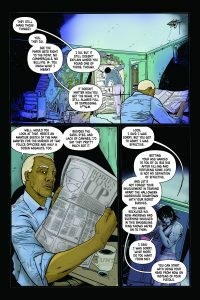 Like with Bartz’s writing, Magicianshouse imbues the character designs with the sense that they’ve been living their lives independent of Max and Leroy’s activities. Everyone has little quirks and odd details that go without any explanation, and Project: Shadow Breed is all the better because of it. The other detail that I find myself appreciating is that Max’s design doesn’t resemble the more dramatic picture of the hulking werewolf. Rather than going with the howling mass of fur, claws, and muscle, we’re given a more human looking Max (sort of along the lines of the vampire/lycan hybrid look in Underworld), which works out very well considering he’s not able to transform out of his werewolf form while out walking around on the streets. Project: Shadow Breed is a winner, maybe a little rough around the edges but no less readable because of it. Personally, that’s one of the things I love about reading indie books… we may not be getting a perfectly polished work, but we do have front row seats as a creative team continues to learn their craft. Action aficionados looking for a comic that brings guns, guts, and gritty characters to the page should absolutely give this one a try.